Pope Francis poses with youths during a meeting with the Piacenza diocese in Saint Peter's Basilica at the Vatican on Aug. 28, 2013. 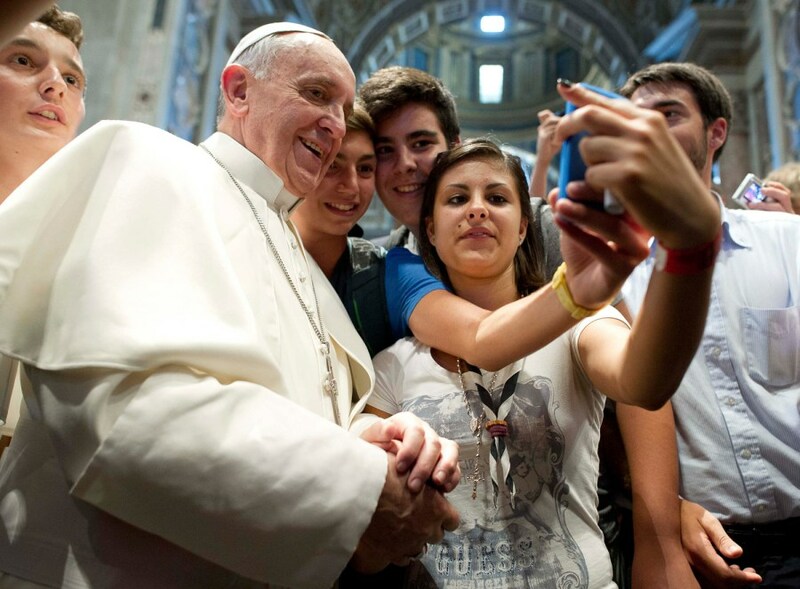 Pope Francis obligingly posed for a "selfie" with a group of young people visiting the Vatican on Wednesday. The pope is following in the footsteps of stars like Rihanna, Madonna and Justin Bieber in climbing aboard the "selfie" bandwagon, though as of Thursday he had not posted the photo to his offical Twitter page. The "selfie" phenomenon was recognized by an authority of another kind this week, as the word was added to the online cousin of the oh-so traditional Oxford English Dictionary. The Pope previously proved his savvy with phone calls to parishioners. Now, he's taking selfies. NBC's Lester Holt reports.